Today’s guest is Suzi Karp owner/editor of AmericanPet Magazine™(APM) for nine years, who has an extensive award-winning background and education in graphic design and marketing. AmericanPet Magazine™ has 17 issues published, and there is a future book to be released featuring “The Best Of” from the first five volumes. After a two-year sabbatical from the magazine, and with the “desires of an entrepreneur and the love for pets,” Suzi once again seizes the day and takes a second leap of faith, making an awesome comeback for AmericanPet Magazineas she once again is actively pursuing her lifelong passion and turning it into a reality, one she can share with others. AmericanPet Magazine highly supports animal rescue and Canine Epilepsy awareness. 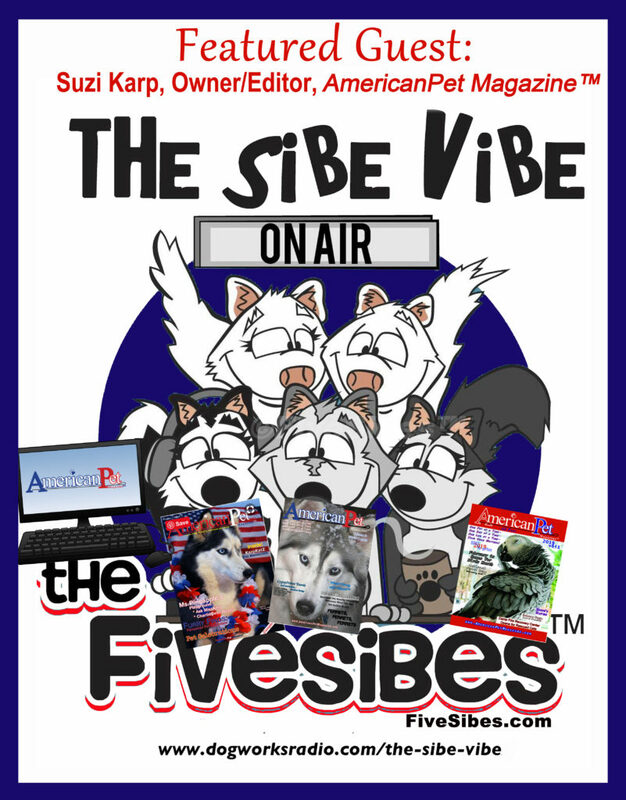 The variety of stories within the magazine’s pages cover a myriad of animals (including many from our “The Sibe Vibe” host, Dorothy Wills-Raftery, whose Siberian Huskies, the FiveSibes, have been featured both on the cover and in stories)! For the book lover, there is a “Best in Print” section in each issue for recommended reads. Suzi embraces stories on all pets—from dogs and cats, to bunnies and birds, ferrets and horses, and more! APMis published quarterly and available on the website at www.AmericanPetMagazine.com. Currently, digital copies are available to read online FREEof charge! Printed copies are in the works! APMand several contributors recently hosted a three-day virtual event party on Facebook to celebrate the new release of the magazine! There will be more virtual issue release events, and Suzi has “a big raffle planned in the near future” and she opened an online store this year “benefiting my Karp Katz Rescue & Sanctuary and AmericanPet Magazine‘s mission.” So, be sure to follow AmericanPet Magazine’s Facebook and Twitter pages to keep up with the events! 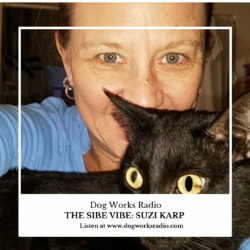 Sponsorship and donations are always welcomed, says Suzi, in addition to contributed stories, to continue in the success of their mission, which includes donating a portion of the magazine’s ad fees to help animals in need.